Experience absolute wellbeing in the shower with this fresh and enchanting shower gel and shampoo, which cleanses both skin and hair in a single application. 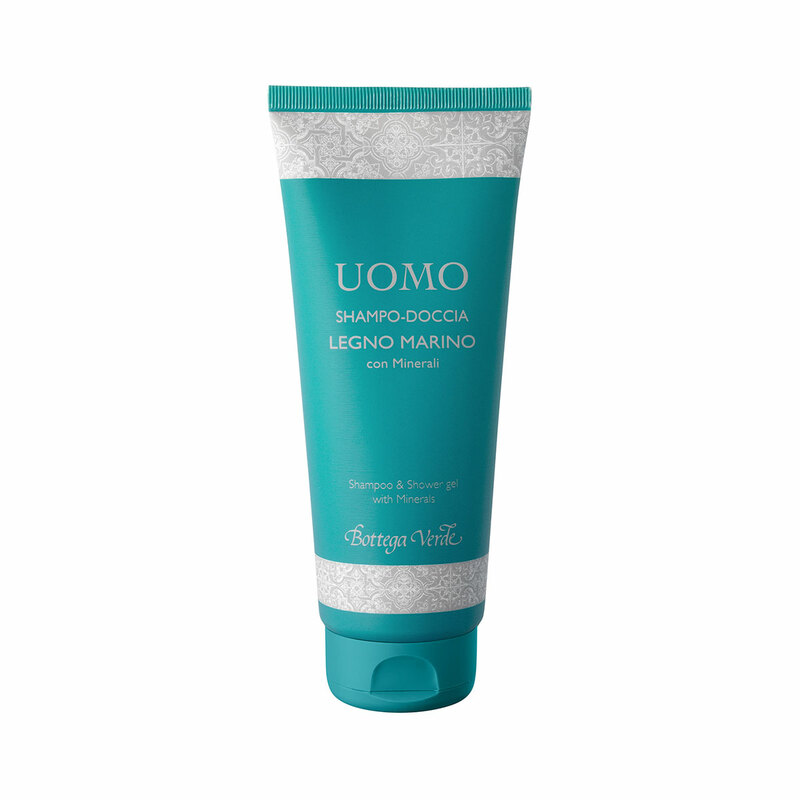 The mineral-enriched gel formula leaves hair soft and shiny and skin fresh and fragrant. Its fragrance exudes an intense feeling of effervescent vitality, intoxicating the senses with notes of wood, citrus and spices, making it perfect for people who adore indulging in strong sensations and embarking on aromatic adventures! Two-in-one formula enriched with Minerals that cleanses both skin and hair in a single application. Its fragrance exudes an intense feeling of effervescent vitality, intoxicating the senses with notes of wood, citrus and spices, making it perfect for people who adore indulging in strong sensations and embarking on aromatic adventures! Direction for use:Apply a small amount of the product to wet skin or hair and rub it in until it forms a soft lather, then rinse thoroughly with water. Repeat if necessary. Scent:The fragrance of the Legno Marino range. Suggestions:For all men who want a spicy, aromatic and fresh fragrance.